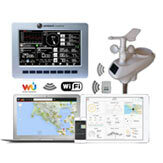 We have the Sky device in our weather stations reviews which you can find here: “In Search For The Top Home Weather Station”. 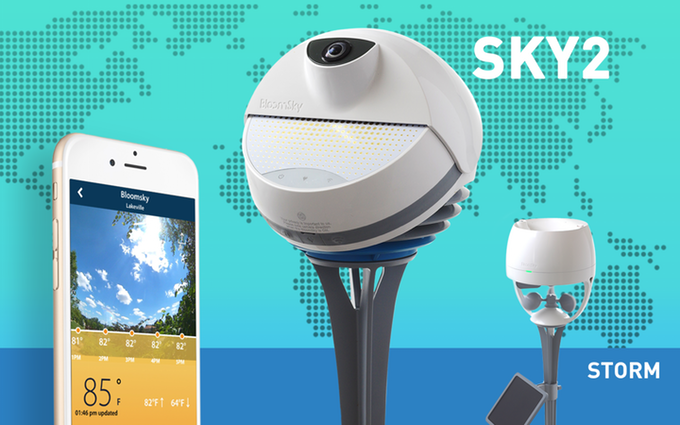 You can also still buy the BloomSky weather station from here and we highly recommend it. Some of its competitors you can see below. 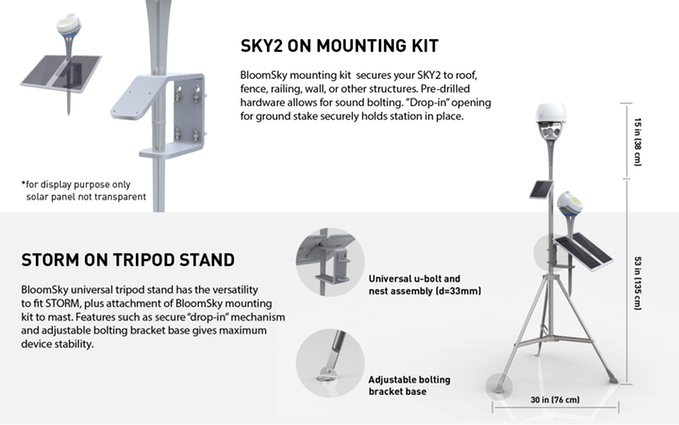 After the success of Sky model, Bloom is now launching Sky2 and Storm, and is there a better advertisement than Kickstarter? The goal was to gather $80,000 and currently they are at $593,333 from 2,636 backers! If you would like to participate hurry, as there are only 9 days till the end. Just follow the link for more info. 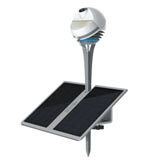 The all new device has a similar to Sky/Sky2 pleasing design and also comes with solar panels. 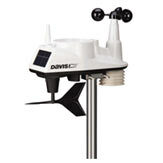 The new features that we get are wind speed & direction and rainfall total. A tipping bucket is used in order to measure rainfall accurately. In order to use Storm you will need to have Sky or Sky2. However, watch out! There are limited amount of available kits. Thus, the more you wait the more pricey the kit becomes. There is even danger that you wont be able the pre-order one. It is nice to see that BloomSky knows how to appreciate its customers. 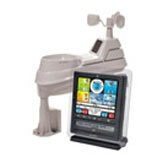 There is a special offer if you already own Sky1: you can order only the Storm device for the price of $89. This also includes solar panel and tripod stand. The MSRP is valued at $139. The delivery date for this is Oct 2016. If you happen to miss the Kickstarter campaign don’t get gloomy. The information is that the Sky2 and Strom devices will be available for normal purchase towards the end of this year.